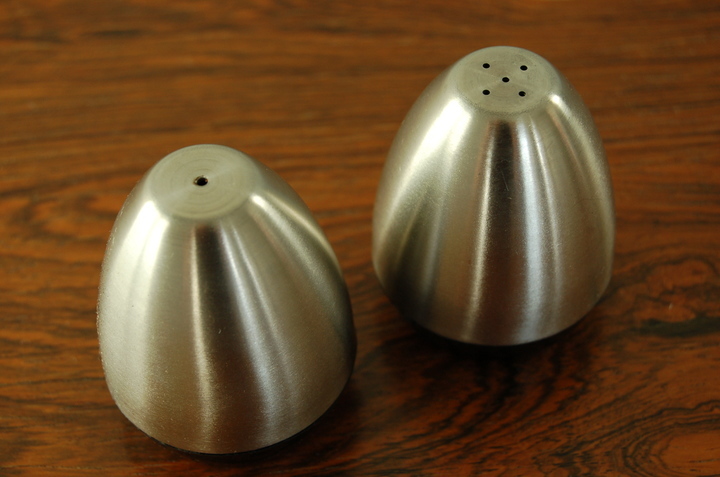 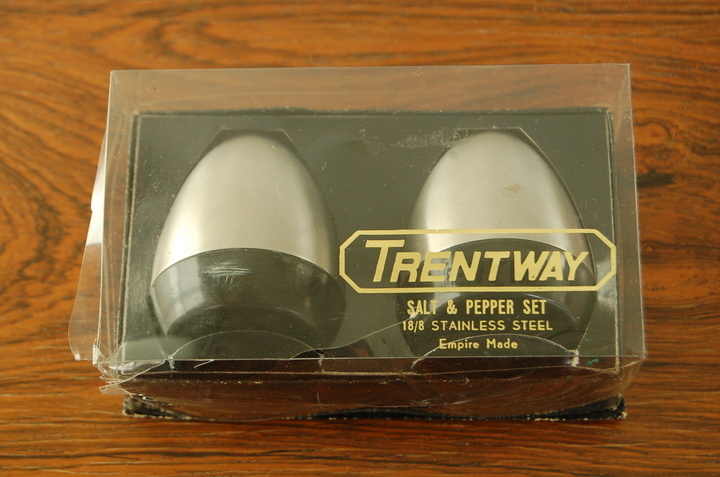 Trentway salt + pepper set in original packaging. 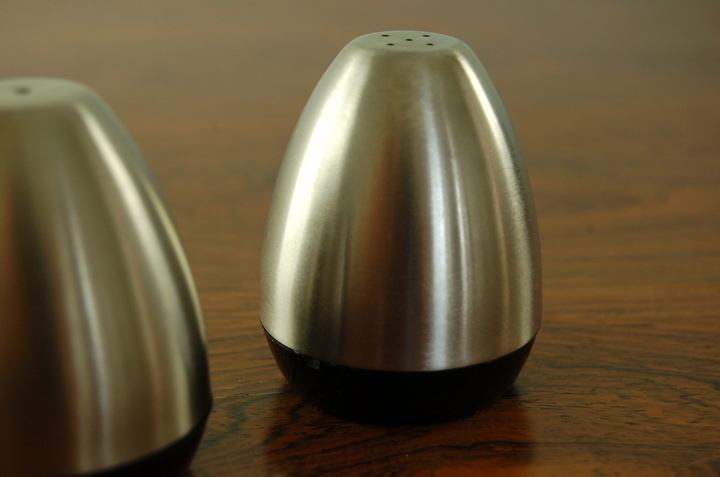 Made exclusively for Boots. 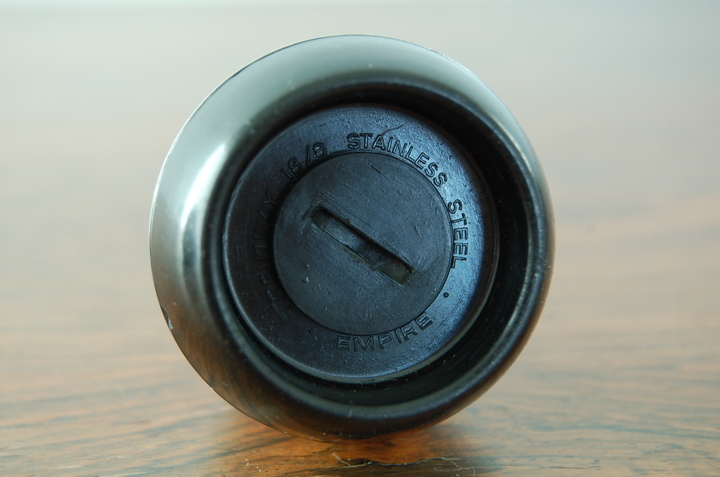 18/8 Stainless steel with plastic base.